Opening your own floral retail shop? The dream of opening your own floral retail shop has become reality! Now your challenge is to keep this new business afloat for the first year. With help from Paul Goodman, CPA, PFCI., we have put together a guide to help you to reach this goal! Markups enable you to make a return upon investment. For centerpieces set a 20% retail price for its labor, a two-times markup for their container and supplies used, and a 3.5% markup on flowers and foliage. This will help you to earn profit on the sale. For bouquets practice a similar strategy but charge a 35% markup for labor and supplies. When customers ask for a quote, you can use this standard markup to give a generalized price. 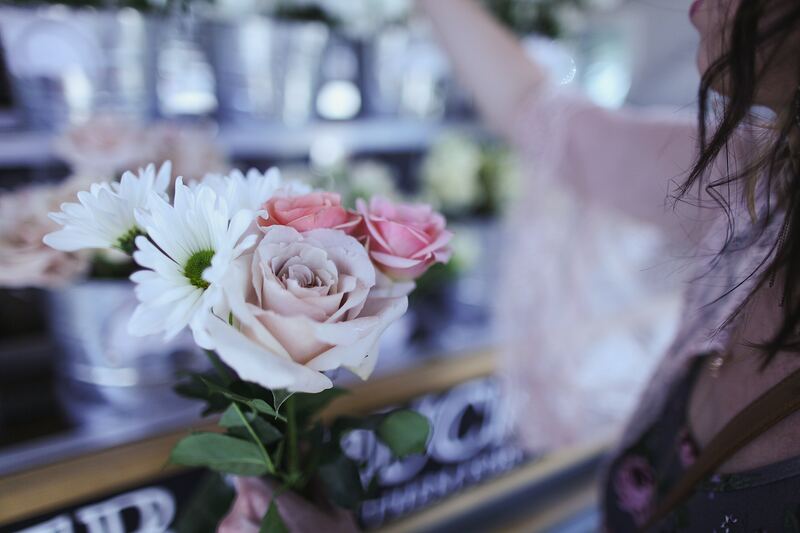 Creating beautiful arrangements with wholesale flowers takes a lot of work, time, and energy. Make sure to charge appropriately for your labor. Labor costs don’t just involve arranging the flowers but also includes ordering supplies, delivery, set-up, and breakdown as well. Make this clear to your customers when working up quotes for weddings or other important events. If you do not charge for labor you may end up losing money in the long-run so pay extra attention to your pricing. Don’t forget to take account of your delivery charges if applicable. These can start at $1.10 per mile traveled. You can’t just hire anyone off the street. A floral designer must have an eye for symmetry, balance, color, and so much more. With that being said, you must pay fair wages as well. Take into account the price you charge, labor time, and hours worked when calculating wages. There are many ways to lose money in this type of business. Don’t fall prey to these avoidable situations. Do not start work on a project until the deposit is paid. This ensures that your customers will pay the remainder of their bill. When designing arrangements, you should always keep tabs on the exact quantity of stems used. Don’t estimate! You may end up losing money over time and will also prevent over-ordering. Also, don’t forget to keep in contact with your wholesaler. They are a valuable resource when first starting your business. We hope these tips and tricks help you to succeed and stay profitable! What advice do you have? We can’t wait to hear! This entry was posted in Tips and tagged main wholesale florist, new jersey, new york, Profit, success, wholesale florist, wholesale flowers on April 10, 2018 by Main Wholesale Florist.